In an effort to increase the visibility of our discipline at DSU and within the wider Southern Utah community, the History and Political Science Department sponsors an annual History Distinguished Lecture. Once a year, we bring a Distinguished Lecturer -- an academic historian with a substantial record of achievement and innovation in the discipline -- to campus; s/he delivers a lecture on campus during the Spring semester and also meets with a group of history students during his/her visit. The 2019 History Distinguished Lecturer is Dr. Lori Clune, Associate Professor of History at CSU-Fresno and author of Executing the Rosenbergs: Death and Diplomacy in a Cold War World (Oxford University Press, 2016). The title of her lecture will be "Cold War Diplomacy: Global Reaction to the Rosenberg Case." In 1953 Julius Rosenberg and his wife Ethel were executed for conspiracy to commit espionage. 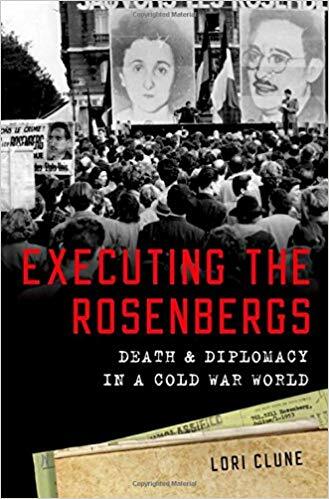 This talk uses global protests to shine a light on the history of the Rosenberg case as an example of failed Cold War diplomacy. This year's lecture will take place on Monday, February 25 at 7:00 PM in the Dunford Auditorium. Dr. Clune will take questions from the audience after the lecture. Lori Clune is Associate Professor of History at California State University, Fresno, where she teaches undergraduate and graduate courses on the modern United States, Latin America, Southeast Asia, and U.S. diplomatic history. She is also a faculty member in the Smittcamp Family Honors College, and regularly team-teaches a U.S.-Cuba class with colleague William Skuban. Through her research, she analyzes the intersection of politics, diplomacy, propaganda, soft power, communism, and espionage. She is the author of Executing the Rosenbergs: Death and Diplomacy in a Cold War World (Oxford University Press, 2016). Her most recent op-ed ran in the Washington Post in June 2018, and called on President Trump to pardon Ethel Rosenberg. A native of New York, she holds degrees from Purchase College and New York University, and earned a doctorate in history from the University of California, Davis in 2010. Her current research explores the American experience in the Korean War. 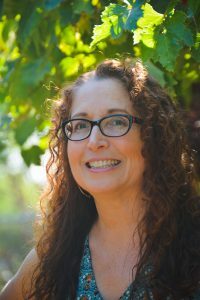 2018: Dr. Susan J. Matt, Presidential Distinguished Professor of History, Weber State University: "Homesickness, History, and American Emotional Life"